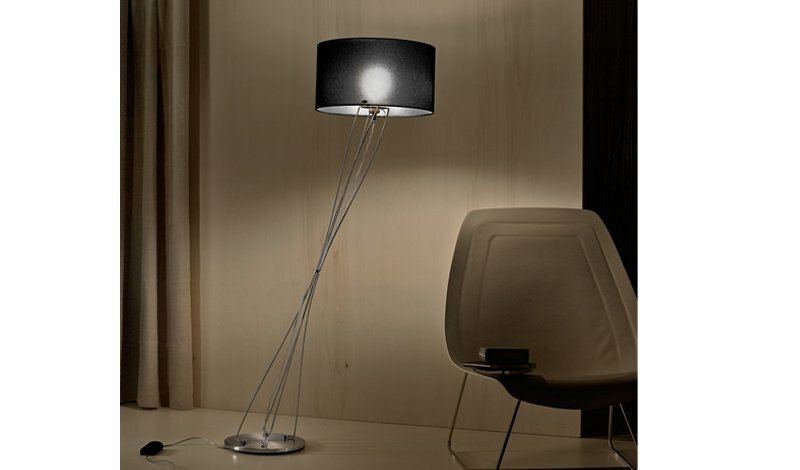 Liz represents a series of lamps in metal with an adjustable frame of flexible steel rods. All light fittings are designed for decentralized shades, conical or drumshaped, available in different coloured fabrics. cable-dimmer and switch.